San Juan de Dios Hospital opened in 1950 as San Juan de Dios Children Hospital. 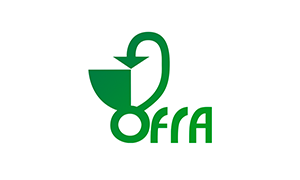 Their purpose is to provide relief from pain and suffering through a comprehensive assistance to the individual, coordinating their activity of Primary Healthcare and Consultant Healthcare, with respect for the patient’s dignity, as an example to society of humane, personalized, efficient, updated, treatment and committed to a “way of doing”. 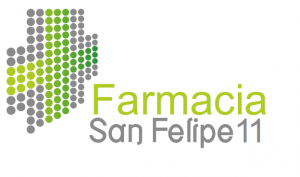 They have a new management model, combining public health services with non-profit private management, taking care of the continuity in the assistance to the patient, contributing to promoting health and preventing illness from a total quality standpoint. Their facilities include waiting rooms, surgeries, haemodynamics, outpatients, magnetic resonance scanning, CAT scans, operating theatre, PACU/PAR, assembly room, hospitalization and emergencies. Patients are our reason for being, that is why we focus on providing a quality medical experience without having to wait. We have a team of medical professionals to provide service in more than 20 specialities. We work with top medical insurance companies both at national and international level. This is a one-stop shop for all your healthcare needs. Clínica Tara has state-of-the-art technology which makes it a leading private clinic on the island. Hospital Parque Tenerife belongs to the Parque Hospitales group, which has different hospital centres in the Canary Islands and in mainland Spain. 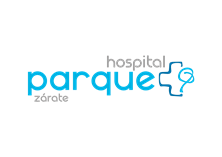 Parque Hospitales has two fundamental goals: on the one hand, they have leading centres in assistance and service; on the other hand, as a group, Parque Hospitales aims at growing and would like to become an outstanding operator in the national healthcare field. Parque Tenerife is a first-rate hospital that carries out over 100,000 medical activities. With world-class facilities in the centre of Santa Cruz, Hospital Parque Tenerife is already the private hospital centre on the island. Our commitment to having the best professionals and providing them with the best means of diagnosis and treatment, make us have an increasing number of patients who trust the Santa Cruz hospital every day. In order to match this constant growth with an increase in the quality of our service, we opened a building for outpatients near the hospital, the “Consultas Externas Hospital Parque”. At Centro Médico Clodina we offer our patients a professional experience that caters for all their needs, with top quality assistance, a constant improvement of all our services and a humane treatment built on respect and closeness. The commitment to service of our staff is the basic pillar that underpins providing proper health care. 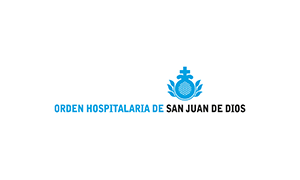 Our doctors are excellent professionals who carry out their activity at the University hospitals in the Canary Islands (HUC, in La Laguna) and Nuestra Señora de la Candelaria. Our service to patients is rounded-off with the clinic analysis laboratory LGS González Santiago Lcda. Fátima Díaz Guillén’s chemist office, where you have a personalized chemist service. Costa Adeje Medical Centre was set up to tackle the shortage of different specialities in the south of the island. 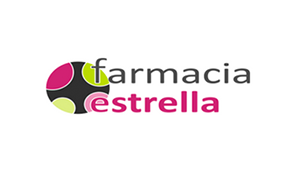 We focus on providing a quality service based on technological innovation and comprehensive advice throughout the treatment. We set up Costa Adeje Medical Centre having in mind patients whose medical needs are not met in the services offered by many conventional centres. At Costa Adeje Medical Centre we believe trust is the key for a 100% effective relationship between doctor and patient. That is why we have taken great care in selecting our team: when you come to meet us, we want you to feel absolutely sure you are in the right place. Our team is made up of specialised experienced professionals who are fully trained in their field. 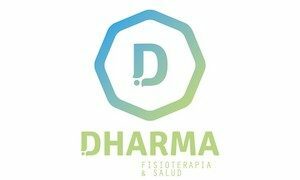 Dharma is a multidisciplinary centre specialising in Physiotherapy, Psychology and Neurology where you will have trained, knowledgeable, and experienced professionals to help you improve your health and well-being. 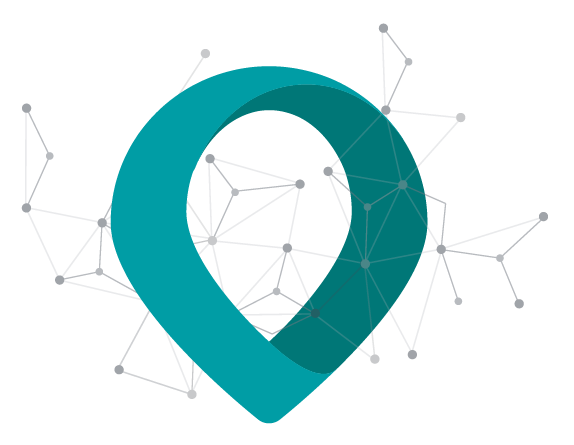 Our team is made up of professionals who join forces to reach further than just a healthcare service, providing a more personalized close relationship, focusing on the person as a whole and based on a bio-psychosocial model. Health is understood to be a combination of biological, psychological and social factors. This approach is used in fields like Medicine, Neurology, Nursing services, Physiotherapy, Osteopathy, clinic Psychology, Occupational Therapy, clinic Social Work, Psycho-pedagogy and Sociology, among others. It includes a Physiotherapist who specialises in Osteopathy; a Neurologist specialising in treating Epilepsy and Migraine; a professional qualified in Social Education, Psychologist, who also has a Master in Sport Psychology; and a Psychologist specialising in Clinical and Health Psychology, and Sign Language. 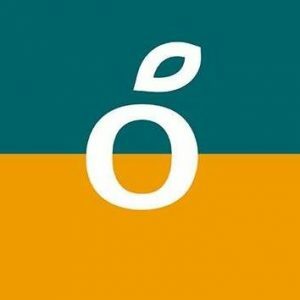 Lambda Salud is a Network Centre specialising in Physiotherapy, Pilates, Osteopathy and Rehabilitation located in Adeje and the south of Tenerife. Modern Facilities: we are a leading centre specialising in the Pilates method. Our studio is equipped with the best Reformers and Chairs, where we offer group classes, semi-private and private classes. Personalized Service: we care about people. Rather than being an overcrowded studio, we opt for humane quality, closeness, professionalism and a personalized approach. Find out more, we are here to help you. Multidisciplinary Team: we are an enthusiast dynamic team and we very often work in multidisciplinary groups to provide comprehensive assistance. Professionals: we only have qualified professionals with degrees in Physical and Sports Activities, Physiotherapy, Osteopaths, and a doctor in dental surgery. You are in good hands. Monday to Friday from 8:30 a.m. to 9:00 p.m. and Saturday from 9:00 a.m. to 1:30 p.m.
Open from 8:30. a.m. to 8:30 p.m.
Open from 9:00 a.m. to 8:30 p.m.
Open from 9:00 a.m. to 9:00 p.m.
Open from 8:00 a.m. to 8:30 p.m.
Open from 8:30 a.m. to 8:30 p.m.
Open Monday to Saturday from 8:30 a.m. to 9:30 p.m.
Open to 09:00 a.m. to 9:00 p.m.
Open from 08:00 am to 2:00pm and from 4:00 pm to 8:00 p.m.
Let us introduce your Trusted Doctor: Dr. Miguel Ángel Dorta Álvarez. 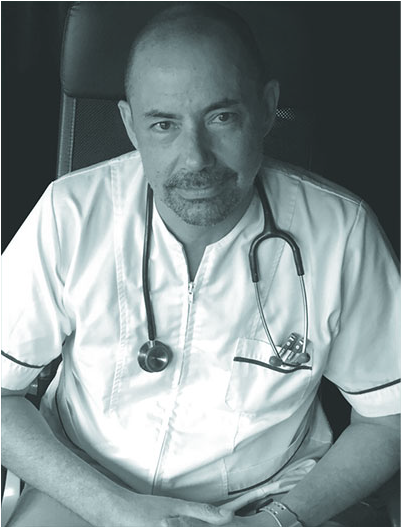 He has a Degree in Medicine and Surgery from Universidad de La Laguna and a degree in Public Health from University of Brussels. He has worked mainly in the Addictive Behaviour Unit of the Government of the Canary Islands Welfare Network, in the Behavioural and Emotional Rehabilitation scheme with patients whose pathology is due to their lifestyle. Isn’t it useful to have a doctor in the family or as a friend? 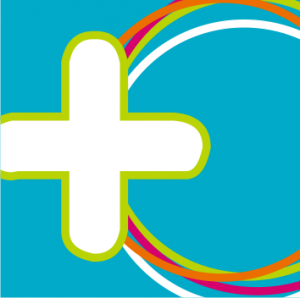 It’s great to be able to solve issues we’re worried about without having to arrange an appointment with our GP or consultant. However, not all of us are lucky enough to have this type of contacts. That is why Avantis Salud offers an alternative to more traditional methods to support you when making decisions regarding health. With the “Trusted Doctor” service, in addition to your healthcare product, you can solve doubts related to tests, medication and guidelines, illness development or any other symptoms or pathology you may suffer from by telephone. Avantis Salud members have tickets available to call free. You can ask for them on 900 214 382 with the agreed limit per year. In addition to guaranteeing a Trusted Doctor service, Dr. Dorta actively cooperates with our social project, writing interesting articles on health and wellbeing. Undergoing surgery or being ill is complex enough in itself. That is why Avantis Salud offers a service that brings to your home the care and services you would get at the Health Centre. The service “Enfermería en Casa” [Nursing services at home] makes available a health professional to help you with post-surgery cures, and/or acute processes to make these medical developments as easy as possible for you. Avantis Salud members can request their free nursing tickets on 900 214 382 with the limit per year agreed on. M.M.A.S. Servicios Sanitarios is the result of two health professionals merging together: one of them has experience in the sector of old people homes and providing home health care, while the other professional has worked in home health care, public hospitals, teaching at auxiliary nurse courses in private academies, providing services for the prevention of risks in the workplace and is a member of the Nursing Services at public institutions. We are an Association of Canarian dentists chaired by Dr. Ramón García García, which has worked to enhance the access of people to dental health in private clinics since 1998. If you need this kind of service please contact Avantis Salud on freephone: 900 214 382.